Another danger during outdoor sports, even in winter, is ultraviolet (UV) radiation from the sun. 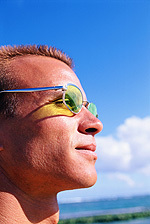 Excessive exposure to UV rays has been associated with eye diseases such as cataracts and ocular tumors. You can also get a “sunburn” on your eye – called photokeratitis – which is very painful and can cause long-term damage to the cornea (the clear front surface of the eye). In some lighting conditions, “keeping your eye on the ball” is not as easy as it sounds. Sports eyewear with special tints can help. Amber-colored “shooting glasses” are popular with hunters because they increase the contrast of birds, clay pigeons, etc. against an overcast sky. In recent years, several eyeglass lens manufacturers have created special tints for sports sunglasses that improve visibility in a wide variety of indoor and outdoor lighting conditions. 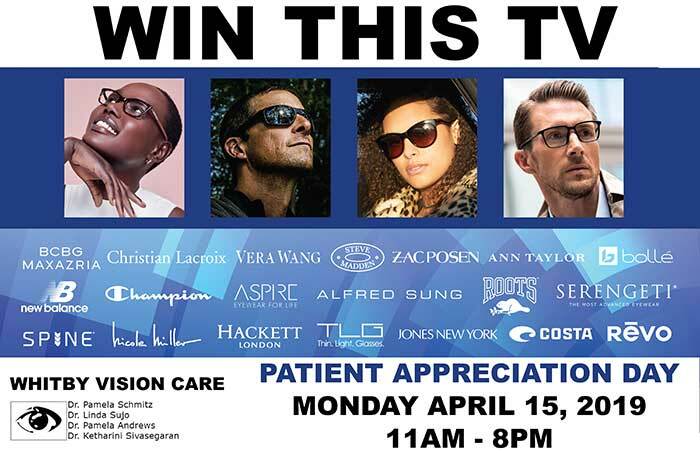 Your eye doctor or professional optician can show you samples of these lenses and help you decide which tints are best suited for your needs. One-day disposable soft contact lenses are an excellent option for sports, because they don’t require cleaning. You wear them just once, and then throw them away. This makes them especially attractive to someone who normally wears eyeglasses. Source: Sport Contact Lenses and Sports Eyewear, article by AllAboutVision.com. ©2009 Access Media Group LLC. All rights reserved. Reproduction other than for one-time personal use is strictly prohibited.